Rio Salado College | RioNews: Launch Your Sustainable Food Systems Career! Launch Your Sustainable Food Systems Career! If you have a passion for food, fair trade and sustainable practices that can benefit our environment-- then consider Rio Salado's Sustainable Food Systems program! This program of study will teach you about ways to create sustainable food practices, the real food movement, how food is produced and purchased as well as preparation techniques. This new video will introduce you to the concept and history of the sustainable food system industry and how you can make a positive impact in this ever-growing field. Rio Salado's Sustainable Food Systems program is designed for students who work in the food service industry as well as newcomers who do not have a culinary background! We also encourage you to watch this video, which includes testimonials from recent graduates who talk about the convenience, flexibility and affordability of this program. 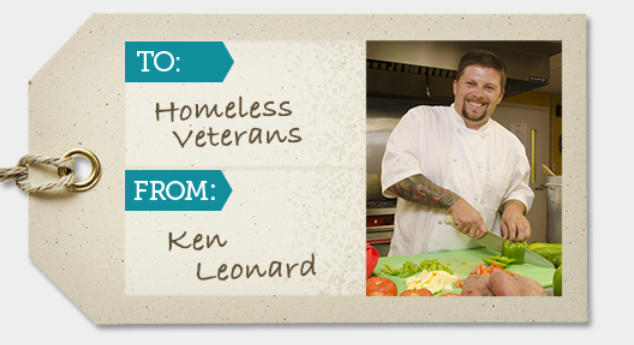 Included in the video are remarks from Chef Ken Leonard who runs the kitchen at Madison Street Veterans Association (MSVA), a transitional living facility for homeless veterans. Learn more about Leonard's story in this Maricopa Community Colleges student profile. Classes start most Mondays! Get started on your new career path now. Visit www.riosalado.edu/food to learn more.